In order to purchase a used car, you need to remember that you will not be the first one to drive it. So, it is better to look over every single detail of the used car with us. Budds BMW Hamilton Checks the engines of used cars thoroughly, and all used cars must pass an inspection by a BMW factory-trained technician. At Budds BMW we suggest that before deciding to buy a used car in Hamilton, that you come in to have a test drive. You can easily book a test drive from this page here. Once you have booked your preferred time and date for your test drive, a Budds BMW Sales consultant will contact you by phone call or e-mail. A BMW Certified Used car although pre-owned has been reconditioned back to optimal shape as if it was brand new. 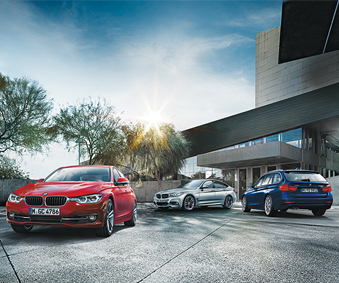 Rest assured that you can depend on the quality of all of the vehicles at Budds BMW Hamilton. Additionally Budds BMW checks the history of the car with its previous owner to make sure everything is in working order. When you buy a BMW certified used car you are getting added value of at least $8,000 dollars and more. We want to ensure that all of our customers can trust our used car maintenance services, and that we can maintain a quality BMW ownership experience. Once you find these points have satisfied your queries, you can better go forward to buy your desired BMW from Budds’ BMW Hamilton. By submitting your email address or phone number, you allow us, Budds' BMW Hamilton, to include you on our contact lists to send you information about our products, services and promotions. You may revoke consent at any time by clicking on the "Unsubscribe" link in your email.